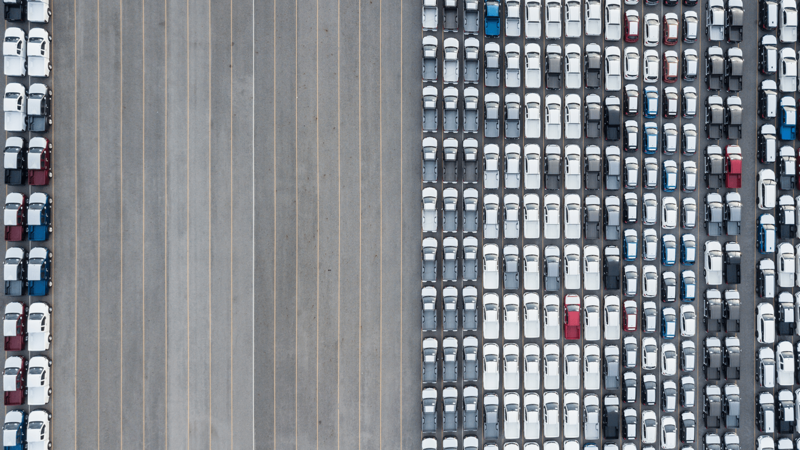 Fleet management isn’t just about procuring the right vehicles. You have expenses, driver safety, maintenance, accident reports, and a host of other factors to think about. For a lot of fleet managers, all these details can add up to a frustratingly difficult job. So here are five simple ways you can make your fleet run more efficiently and your work life simpler. What happens when you need to source another vehicle, and quickly? Daily rentals may be a regular part of your job. But when you have to manually hunt around for the best deals, juggle extra paperwork, and track down a provider who can get you what you need exactly when you need it, the process can become expensive, time-consuming and inefficient. Unless you can get your daily rentals from your funder and let them do the work for you, and bill you in the normal way. Through our trusted rental partner Nexus, you can choose from more than 500,000 vehicles across the UK. With a selection ranging from cars to commercial vehicles and HGVs, they’ll find the right vehicle at the best price, to help you deal with peaks in demand and changing circumstances. Our 24/7 daily rental service provides vehicles in less than two hours with free delivery and collection, inclusive breakdown and recovery cover, precise billing delivered through our online platform, and even the option of specialist vehicles for when a job requires a little something extra, whether a luxury vehicle or a refrigeration unit. Proper accident management is an essential part of running an efficient and compliant fleet. Even if you take every conceivable precautionary measure to manage risks to your vehicles, drivers and other road users, the fact is that accidents can and do happen. But the way you respond when they do is entirely in your hands. Your first port of call is making sure everyone is safe. After that, it’s time to start managing costs. And it’s so much easier if you can do all of this in one place. Your drivers will know that they’ll be taken care of, and won’t have to worry about how they’ll make their onward journey safely. And we provide personal injury claim services where needed. For you, our accident management service provides a single point of contact for everything from the first notification of loss, through claims handling and repairs. And, if one of your drivers is hit by an uninsured driver, our legal specialists can chase the money you’re owed. Essentially, you’re covered for everything, by a dedicated team that can be reached 24/7/365. And there are real-time insights through our RAC inControl portal, helping you to track (and manage) all incidents. As telematics technology has started to grow, drivers (as well as fleet managers) are starting to reap the benefits. This visibility means reducing costs, boosting efficiency, responding to changing circumstance and improving driver safety are now all far, far easier. You can also access multiple automated driving reports to help you eradicate wasteful – or even dangerous – driving habits, and gain valuable, real-time insights into vehicle use. This allows you to track vehicle movements 24/7, improve safety (and therefore potentially cut insurance costs), reduce fuel expenditure by up to 15%, minimise emissions, and save up to 25% on vehicle wear and tear. Hands up if you like juggling spreadsheets and figuring out fuel allowances? Thought not. These processes are a constant, time-consuming headache – but they need to be done. That doesn’t mean they have to be done by you. With Barclaycard Fuel+ in association with TMC, we can automate the process, and help those spreadsheets fill out themselves. This service gives drivers the ability to easily and accurately log their mileage on the TMC Mileage Capture and Audit System – a tool that compares fuel purchase information with mileage data to present the most accurate figures about consumption. With this in place it’s far easier to accurately separate business and personal use. Which means more precise insight into pence per mile costs, and less time spent poring over paperwork. Making sure your drivers are safe, well-trained and well cared for can be a big job. It’s a time-consuming task that requires (and deserves) a lot of attention. You can take some of the work off your plate with our duty of care service, provided by Cardinus. This provides your colleagues the protection they’re entitled to, with bespoke safety messages, training, and polices accessible via a cost-effective and convenient e-learning environment. We can write your policies for you carry out assessments to help identify the areas where your company may be exposed to risk and help you mitigate any danger before it proves costly. With a single point of access to in-car driver training, driver and vehicle background checks, and vital post-accident services, you can ensure that both your employees and your company’s reputation are safe. If you want help with any area of managing your fleet, from short-term rentals to ensuring safety, our experts are on hand to help. You can contact us here.